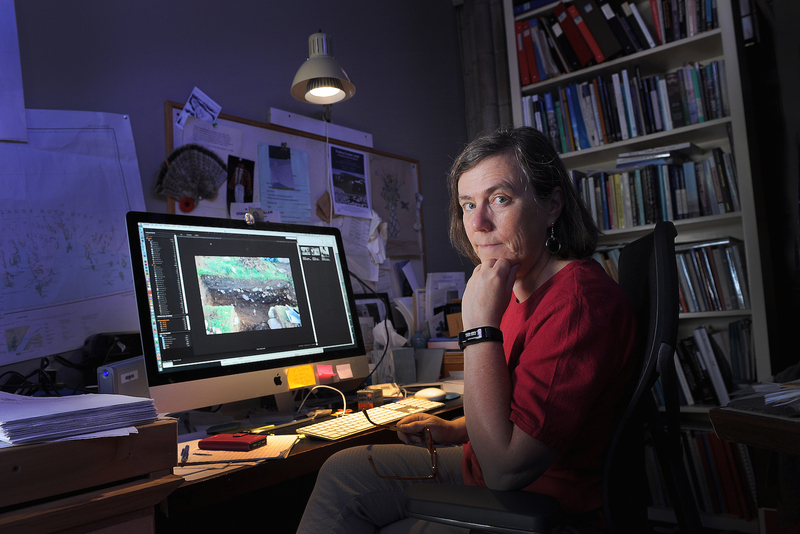 Archaeologist LeMoine in her office at the Peary-MacMillan Arctic Museum. Photograph by Fred J. Field. 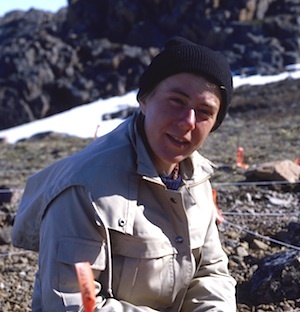 LeMoine on her first research trip to the high Arctic, 1986. "I was with a seasoned group of people and that first trip was so wonderful that I've never looked back." 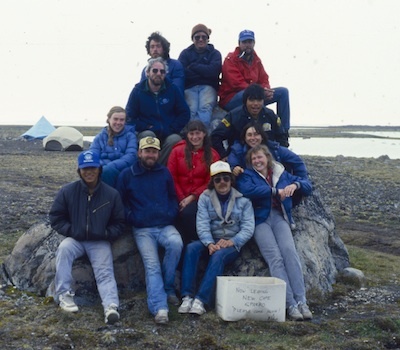 LeMoine with other researchers, 1986. Inside of a C17 plane from McGuire Air Force Base that took Genny, her crew, and supplies to Thule. 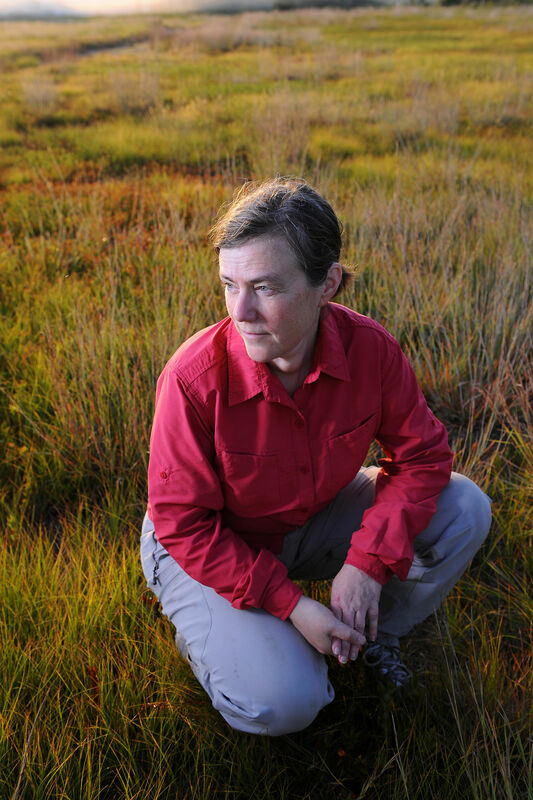 She says this attitude represents a new trend in archaeology and cultural heritage management. Jason Miszaniec working in one of the excavation units at the dig site in Iita. "There is no evidence today of Dorset DNA anywhere. They are truly a dead people." Timeline: A mystery that started a thousand years ago is being studied still today—but the answer might be washing away. Thousands of bones from sea birds known as auks were excavated and an important resource environmentally and culturally for the Dorset people, as well as the later Thule. 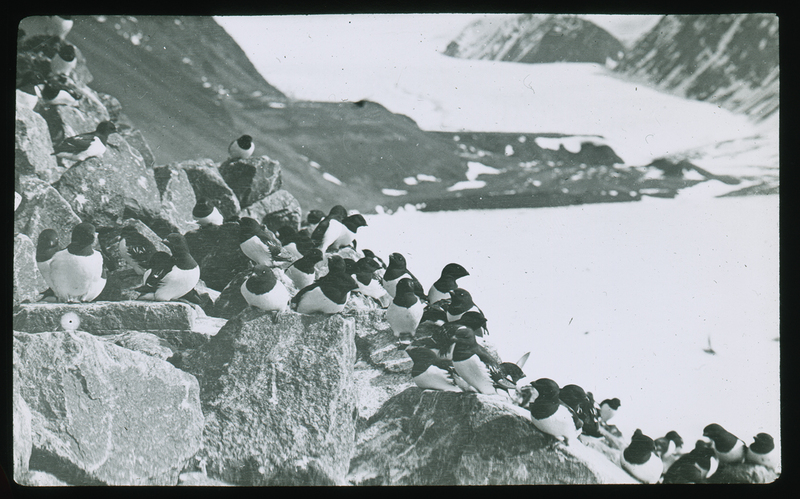 Image credit: Little Auks on talus slope, unidentified photographer, Foulke Fjord, Northwest Greenland, 1913-1917. Silver gelatin on glass. Given in honor of Walter E. Ekblaw, Jr., devoted son. 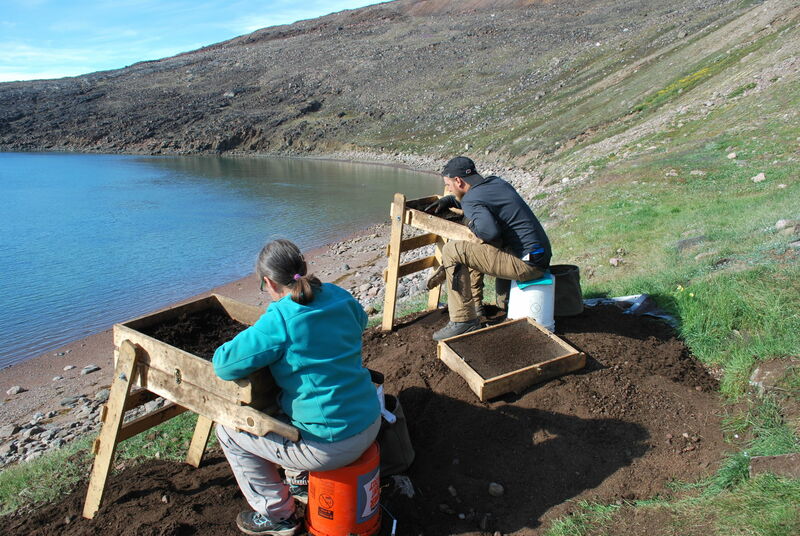 John Darwent, research associate at the University of California, Davis, talks about some of the artifacts found during the six-week expedition at Iita in Greenland.